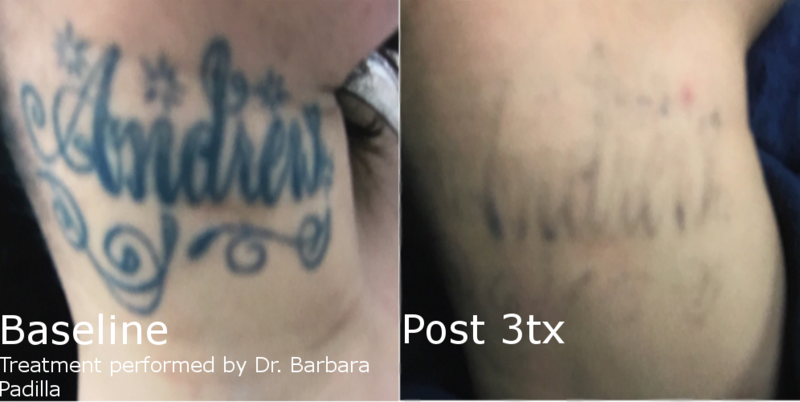 We offer Enlighten™ in our Bloomfield, Connecticut practice which is the most advanced laser tattoo removal system for the effective and safe removal of tattoos and benign pigmented lesions. Enlighten™ uses both second generation Picosecond and Nanosecond technology, which allows our medical providers to individualize treatments in order to achieve faster and more complete tattoo clearance on all skin types. 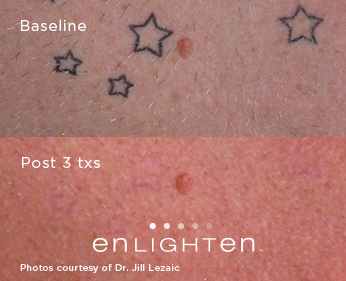 Enlighten™ can remove tattoos in significantly fewer treatments compared to traditional Q-switched laser technology, as well as treat tattoos that have stopped responding to it. 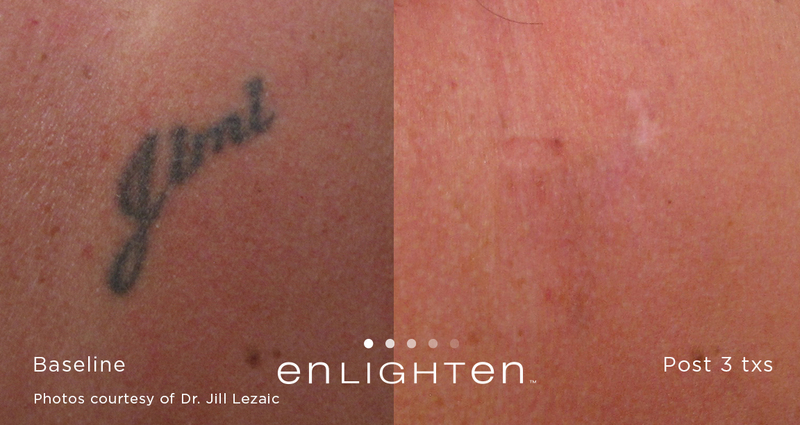 We are the first in the Greater Hartford area to offer laser tattoo removal with Enlighten™. If you have any questions or would like to make an appointment, call us at 860-242-0497 or Contact us. Enlighten™ has dual pulse speeds (750 Picoseconds and 2 Nanoseconds) and dual wavelengths (1064 nm and 532nm). Dual pulse speeds makes it possible to shatter ink particles in the way most appropriate for a particular tattoo, while dual wavelengths allows more effective removal of different colors from a single tattoo. 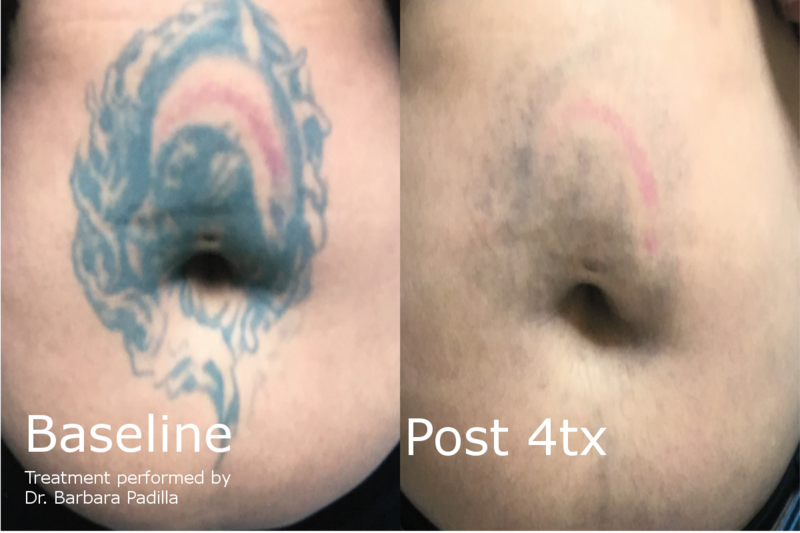 Enlighten™ also has a wide spot-size range (2mm to 8mm) which allows small and large tattoos to be removed in a similar amount of time. 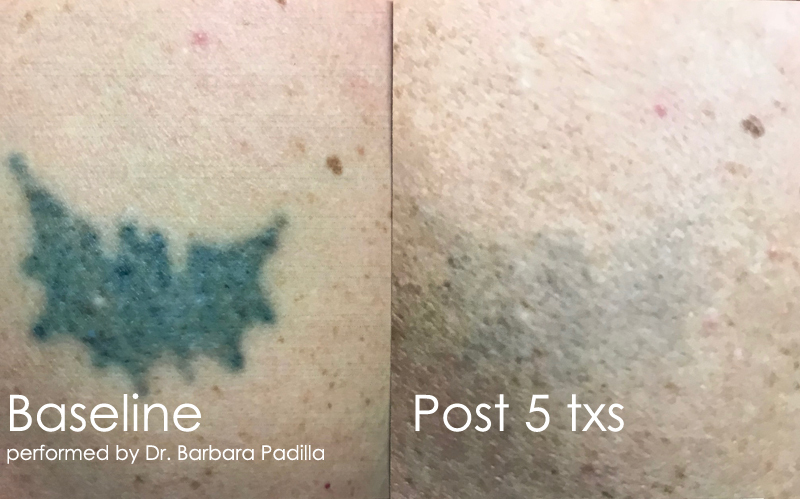 As a result, Enlighten™ can remove tattoos more completely and in significantly fewer treatments, regardless of colors involved and skin type, than alternative laser tattoo removal technologies. For more information about how Enlighten™ removes a tattoo more effectively than other technologies, click here to go to the Cutera website. 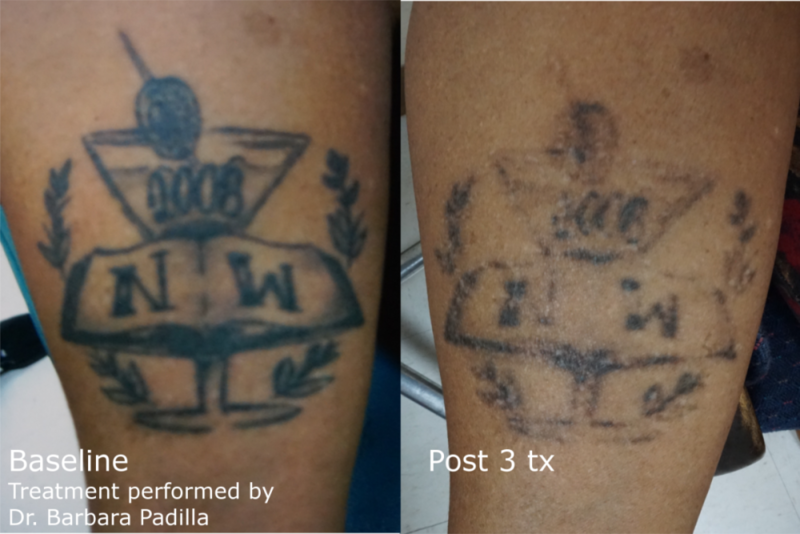 The total number of laser tattoo removal treatments required varies depending on the composition, depth and the color of the ink, as well as the size of the tattoo. Patients should be prepared for multiple treatment sessions approximately 8 to 12 weeks apart. For fresh tattoos, the skin must be completely healed (typically takes at least two weeks) before beginning treatment. Our medical providers will be able to estimate the number of treatments that will be required during your consultation. 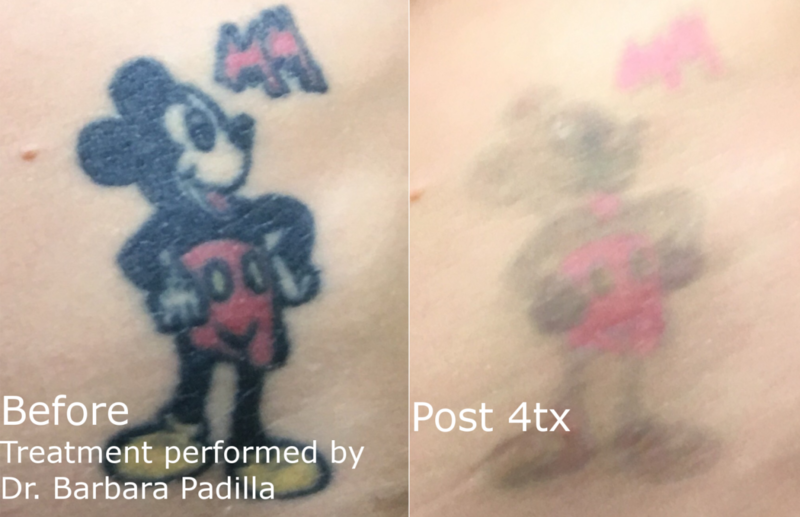 Enlighten™, however, can remove tattoos in significantly fewer treatments compared to traditional Q-switched technology. Why are multiple treatment sessions required? Yes, in most cases. However, it is important to know that some ink colors are more difficult to clear than others. We will determine if Enlighten™ laser tattoo removal will meet your expectations during your consultation. Patients compare the sensation to a rubber band being snapped against their skin. We can provide topical anesthetics to minimize discomfort. Will the laser scar my skin? No. 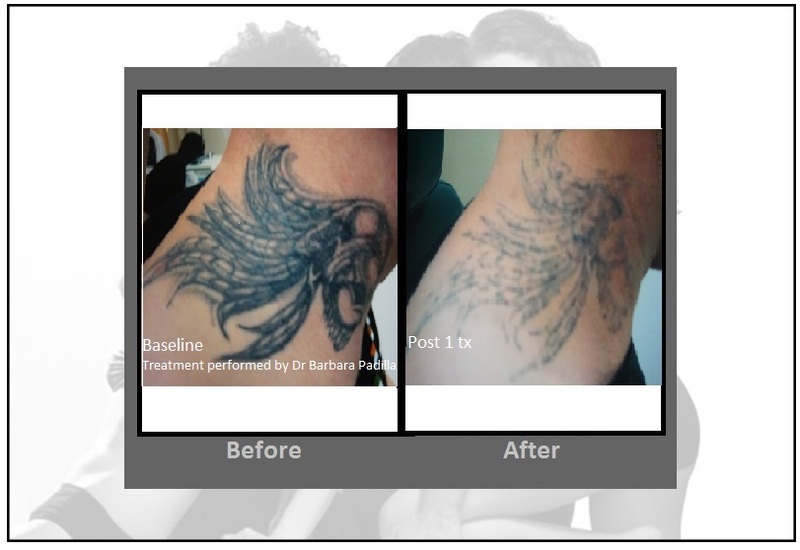 Enlighten™ provides the safest, most advanced and effective laser tattoo removal treatment option for all skin types. 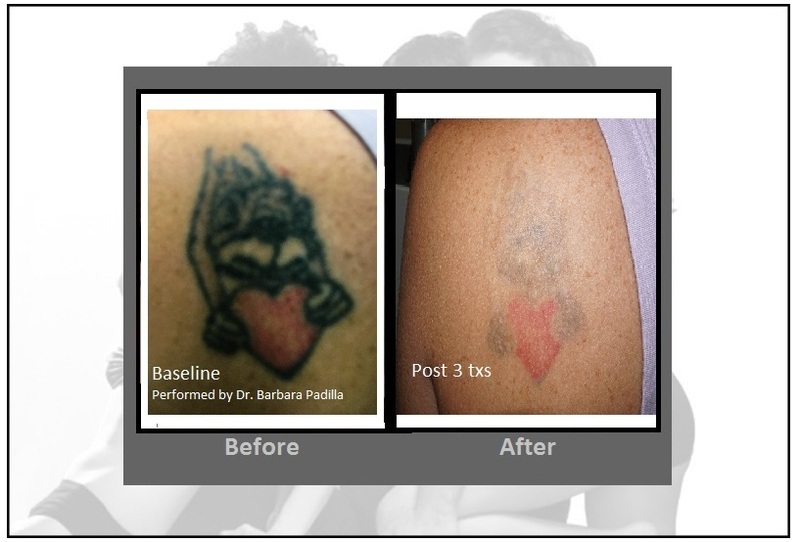 Sometimes the skin is scarred when the tattoo is originally applied, but Enlighten™ will not create a scar. Most patients experience some redness and swelling immediately following the treatment. These side effects are temporary and the skin heals completely over time. No. Patients can return to regular activities immediately following the treatment. Our pricing is very competitive, especially since Enlighten™ requires significantly fewer treatments than alternative approaches and we offer complimentary consultations with one of our medical providers. We also offer convenient monthly payment plans through CareCredit. Check for current promotions and special offers.